ASEAN Festival 2013 アセアンフェスティバル2013 - ようこそ Japan! 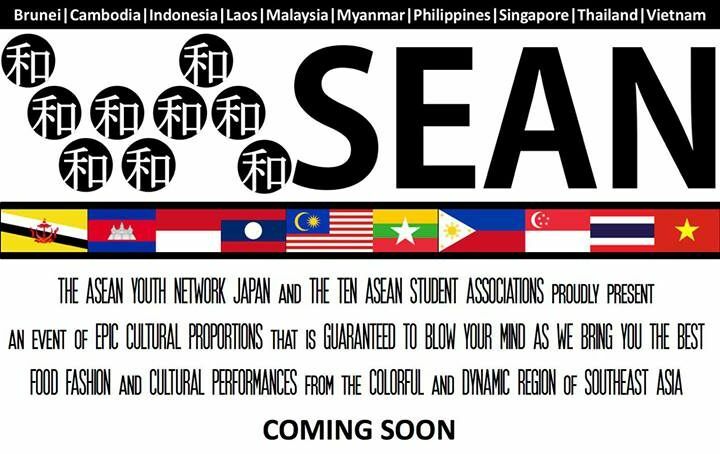 This year, our theme for ASEAN Festival is “和ASEAN”. Come join us for a day of fun-filled festival, where you can learn more about the ASEAN countries first-hand from the ASEAN students in Japan! Look forward to a variety of exciting cultural performances, fashion shows, interactive games, and exhibition booths on that day that will guarantee to fascinate you. Of course, ASEAN cuisine will be served as well! There will also be unique prizes to be won at the event! So stop hesitating and register for the event now. By registering earlier online with us (http://goo.gl/Alq3d), you will be entitled to 50% OFF the admission fee. What are you waiting for! ?